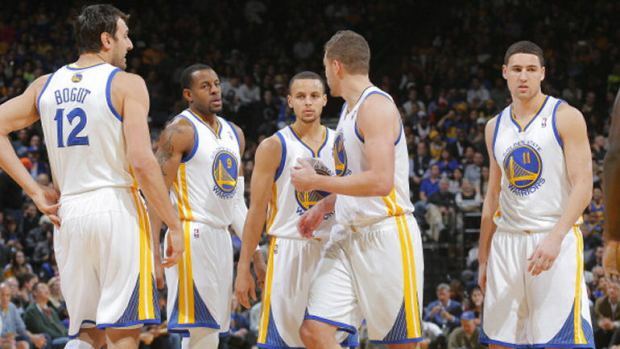 The Golden State Warriors are often underrated, and they are fine with that. The Warriors have an underdog mentality, and they’ve been able to come back in several games because of their resiliency. Last season, the Warriors shocked the nation when they made the playoffs as the sixth seed, when they proceeded to beat the Denver Nuggets in the first round, and when they came within a couple games of earning a trip to the Western Conference Finals. The Warriors entered this season with targets on their backs. They weren’t going to sneak up on anyone this year. Stephen Curry has seen this firsthand this season, as opponents know how dangerous he can be and sometimes send a double team at him right when he crosses halfcourt. Despite some injuries and minor setbacks, the Warriors have positioned themselves to potentially snag the fifth seed in the super competitive Western Conference. They are a confident group, and they are mentally prepared to fight for their spot in the playoffs. That’s where Warriors fans are right now, wondering if this is a miracle team or a mirage. Could go either way, right? If you’re looking for a limo ride to the NBA Finals, you’ve got the wrong team, the wrong conference, the wrong century and the wrong transportation. This will be a roller-coaster ride. Read quotes from Andrew Bogut and Mark Jackson about their push to the playoffs in the rest of this article on Let’s Go Warriors.